Saturday, April 27 & Sunday, April 28 – Hit the Late Pick 4 to Win! It’s Gold Rush Weekend at Golden Gate Fields and that means three things - great races, great wagers and plenty of opportunities to hit big. Xpressbet customers can get in on the action by competing for 1 Million XB Rewards Points this Saturday and Sunday. All customers who hit the $100,000 Guaranteed Late Pick 4 will win a share, so start handicapping today! Saturday’s card is headlined by the Grade 3, $250,000 San Francisco Mile and includes five other stakes races, including the $100,000 California Derby and $75,000 California Oaks. Sunday’s top races include a pair of stakes for three-year-old California-breds - the $100,000 Silky Sullivan and the $100,000 Campanile for the fillies. The Late Pick 4 covers the last 4 races on the card each day. Log In and register. You must register to be eligible. Registration starts Thursday, April 25. 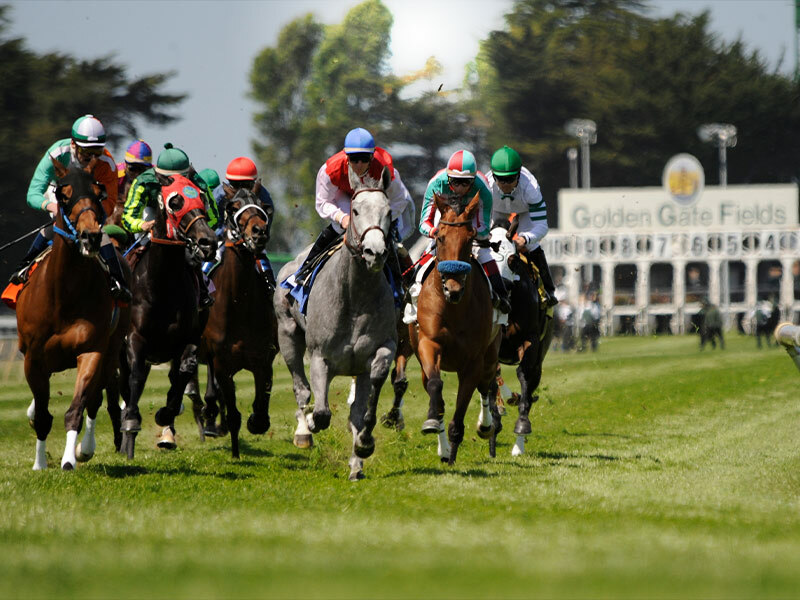 Make a winning bet on Golden Gate’s $100,000 Guaranteed Late Pick 4 on Saturday, April 27 or Sunday, April 28, 2019, to Split 1 Million XB Rewards Points. Each Point Split is a unique contest. The winners of each Point Split win a split of the prize associated with that contest, along with all other winners of that contest. Only wagers placed through Xpressbet.com, Xpressbet Mobile, Xpressbet Teller Service or Xpressbet Voice & Touch Tone Service are eligible for the promotion. Players may only win one share of the XB Rewards Points prize, regardless of the number of winning tickets played by that customer. Points are evenly distributed among all players who placed a winning wager with Xpressbet. Points will be deposited into winners’ accounts by 5:00PM ET on Tuesday, April 30, 2019. Offer valid Saturday, April 27 & Sunday, April 28, 2019. Customers must register for Contest to be eligible. There is no fee to register. Contest wager consists of two promotions - the $100,000 Guaranteed Late Pick 4 at Golden Gate on Saturday, April 27 and Sunday, April 28. Customers must hit contest wager to win a share of the 1 Million Points Prize. Bonus Points will be deposited by 5:00PM ET on Tuesday, April 30, 2019. Wagers that are refunded or canceled do not count towards this promotion. Participants must have an Xpressbet account in good standing to qualify for the promotion. Only wagers made through a participant’s Xpressbet account are eligible.